Extremist talk show host Michael Savage, during an appearance on Alex Jones’ InfoWars show. Last month, real-estate mogul Donald Trump announced his candidacy for president on the Republican ticket with a rambling, incoherent and xenophobic speech. Seizing on white fears over undocumented immigrants, Trump denounced Mexico for “sending people that have lots of problems” and who, in turn, are “bringing drugs, and bringing crime” and who are “rapists.” He also floated an idea common to anti-immigrant groups: Building a “great, great wall” at the U.S. – Mexico border. With those grossly racist remarks, Trump reignited America’s debate over immigration — a debate which has only grown in intensity after Kate Steinle, a San Francisco resident, was shot dead by an undocumented immigrant named Juan Francisco Lopez-Sanchez. Lopez-Sanchez, who had been previously deported five times only to return to the U.S., admitted to killing Steinle in an interview with CNN affiliate KGO-TV, but maintained that it was an “accident.” Complicating matters further is the fact that the murder weapon belonged to a federal agent. 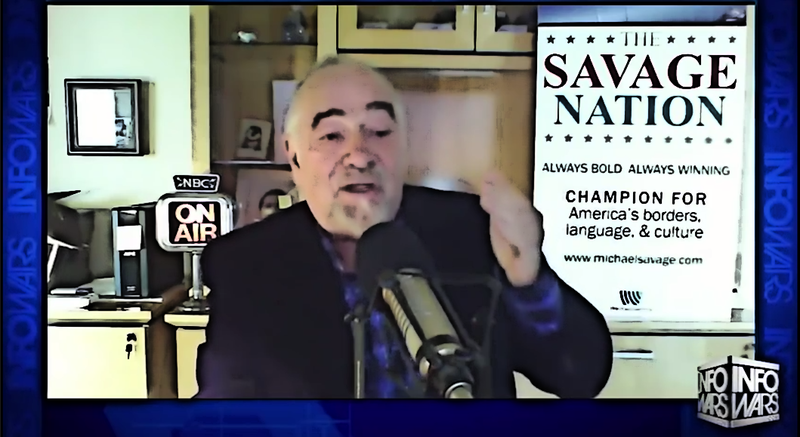 Anti-immigrant pundits — such as Michelle Malkin — have seized on the tragedy to call for stricter immigration policies and an end to “sanctuary cities.” Radio host Michael Savage was no exception, blasting federal officials and liberals alike in an unhinged tirade during a broadcast of The Savage Nation. He went on in this vein, demanding to know why the FBI wasn’t handling the case and opining that perhaps they were too busy “investigating homophobia” and “looking into racism somewhere in the United States of America.” This, while America is still reeling from the monstrous anti-black hate crime that took place in Charleston last month. From here he exchanged his racist dog whistle for a megaphone. Citing the riots in Baltimore over the death of “a criminal named Freddie Gray”, he demanded to know why a white woman’s murder at the hands of a “Mexican, capital ‘M’, illegal alien” hasn’t garnered a similarly furious response. “God forbid this had been a black woman gunned down in the streets by a white man, I want you to tell me what would have happened,” he said.